PHILADELPHIA (WPVI) -- Police have named a suspect in a series of bank robberies in Philadelphia and one in Delaware County. 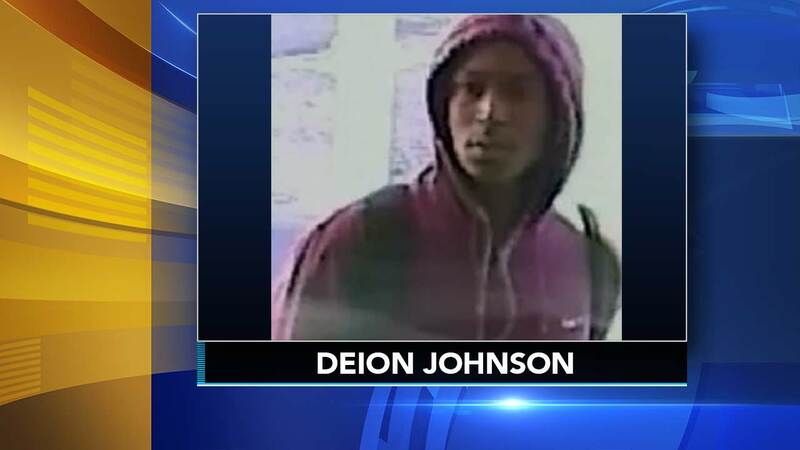 19-year-old Deion Johnson, of Fernwood Street in Southwest Philadelphia, is wanted in connection with a holdup at the Philadelphia Federal Credit Union branch in the 5000 block of Baltimore Avenue. Hours later, police say, Johnson robbed the Santander Bank branch in the 100 block of Chester Avenue in Yeadon, Delaware County. Investigators believe he may have committed two additional robberies in Philadelphia as well. Anyone with information on his whereabouts is asked to contact the FBI/PPD Violent Crimes Task Force at 215-418-4000. There is a reward for information leading to Johnson's capture. Tip callers can remain anonymous.